Hi there, we are so happy you stopped by! 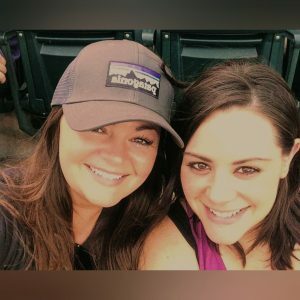 We are sisters, moms, and wives who love to connect with like-minded moms, and give them tips and just an over all piece of mind of being an everyday mom. This blog is meant to be fun, a positive atmosphere building each other up. We all know parenting is hard enough, so we are here to help you keep your anxiety down. Be the first to be notified regarding our new posts, store sales, and delicious recipes. Also be part of our Strong Mom Q&A discussions. Welcome to The Every Day Mom Squad blog page. We welcome everyone here; we love to interact with like-minded moms and want to just have fun. We are providing a site where moms can just get lost in the site and enjoy themselves. We all know, as moms, life gets stressful – and there is so much negativity out in the real world, so we are going to keep this site a positive environment, where people can express themselves – but in a respectful manner. If there is any disrespectful comments, you will be deleted automatically. Does your kid always complain about being bored? This activity checklist has 58 fun activities for kids of any age. They can pick and choose what they want to do when they are bored! This will make your life a little easier. Thank you! Your checklist has been sent to your email!